Starting this Saturday, hundreds of volunteers will take to the highways across Michigan to pick up litter as part of the annual Adopt a Highway spring clean-up. The Michigan Department of Transportation says the clean-ups will run through April 21. 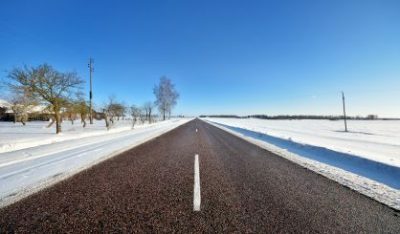 Businesses, churches, non-profits, and families adopt stretches of highway around Michigan to clean up trash each year. MDOT tells us there are 59 active Adopt a Highway clean-up groups in Berrien County, and last year they picked up more than 1,600 bags of trash. Two Berrien County landfills — Orchard Hill and the Southeast Berrien County Landfill — also take the material free of charge. When the volunteers take to the roads this Saturday, drivers are urged to give them plenty of space. MDOT says it could also use some more help picking up litter along more rural stretches of I-94. Anyone interested in creating an Adopt a Highway volunteer group should check MDOT’s website.